Post-Cold War United States-Africa security cooperation has been transformed from the humanitarian efforts of President George Bush Sr. that ended with the Somalia debacle in 1994, through the selective engagement policy of President Bill Clinton that avoided the Rwandan civil conflict to what could be viewed as a more structured relationship with clearly defined priorities under President George Bush Jr. since the new millennium. This has been amplified with the establishment of the Africa Command (AFRICOM) nearly three years ago. Against the backdrop of the September 11, 2001 terrorist attacks on the United States, different interpretations have been adduced for these developments. Efforts towards building trusted allies towards containing international terrorism, the quest for Africa’s natural resources, particularly oil in the Gulf of Guinea and the desire by the United States to help transform Africa on a more sustained developmental path have been assigned. The study appraises these perspectives, examines the different nodes and forms of security cooperation between the United States and Africa in the recent past and the motivating factors for the establishment of the Africa Command (AFRICOM). It argues that the thrust of United States interest in Africa is in conformity with classical realist interpretation, thus a pursuit of her national interests within contemporary geo-strategic calculations. 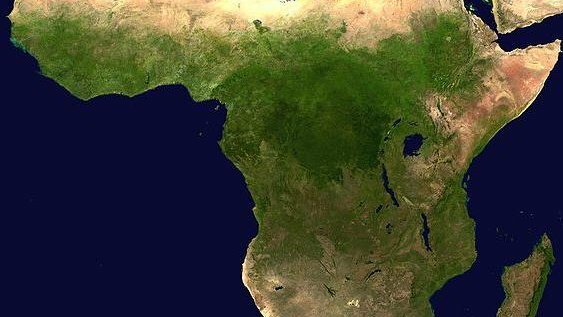 United States security engagement in Africa, whether historical or contemporary, could be viewed from a strictly strategic consideration, thus intrinsically, the pursuit of its national interest on the continent and, by extension, globally. For instance, during the Cold War, the United States engaged herself in African affairs in the context of superpower rivalry. The intense ideological competition between the then Soviet Union and the United States shaped the policy choices and relations that the latter forged with individual African governments. Indeed, some policy choices by the US within the context of the Cold War generated antagonistic relations with the then Soviet Union, manifested in the ideological and political entanglements in the civil conflicts in Angola (support for Jonas Savimbi), the altercation with governments in the Horn of Africa, particularly Somalia under Siad Barre and Ethiopia under Mengistu Haile Mariam. There were other instances that manifested in the uncanny support for military regimes on the continent such as Liberia under President Samuel Doe and Mobutu Sese Seko of former Zaire. Additionally was the obnoxious ideological stance on apartheid South Africa under then President Ronald Reagan and his associate Prime Minister Margaret Thatcher, with the assertion that UN sponsored economic sanctions would hurt the majority South African blacks the most, not excluding their indifference to the apartheid regime holding on to Namibia, despite UN resolutions on the issue. The period was thus counter-productive to Africa’s long-term interests and did not promote regional security in terms of laying the foundations for political stability, peace and economic development. In a realistic sense though, the United States entered Africa during the Cold War as a new actor pursuing her superpower ambitions on the continent, since she had never “colonized” an African territory in its “Eurocentric” manifestation. The exception was the historical example of American nationals who, acting through the American Colonization Society (ACS), secured land on the West Coast of Africa for the settlement of American freed slaves in the 1820s under the presidency of James Monroe. Now Liberia, the capital Monrovia was named reverently after the then president of the United States. This realistically marked America’s historical relations with the continent; yet, she was quite hesitant to intervene forcefully in Liberia during the civil war that engulfed Liberia in the 1990s. United States’ relations with her only African enclave therefore contrasted sharply with those of the European powers which actually maintained prolonged foothold on the continent. For instance, the benchmark of Franco-African relations was the enactment of extensive strategic security pacts, even after these colonies attained formal political independence. On the other hand, Great Britain’s security relations with its former colonies took on a characteristically “manage your own affairs” approach. Of course, this attitude did not rule out security assistance with various Anglophone African countries through sponsorship and training programs for personnel in the security services in prestigious institutions in Great Britain and elsewhere. The other colonial powers such as Portugal unabashedly engaged their former colonies, thus Mozambique, Angola, Guinea Bissau and Cape Verde in armed struggles against the popular movement for political emancipation. Belgium likewise adopted political intrigue and subterfuge in the resource-rich Zaire (now the Democratic Republic of Congo) to overturn the popular choice of the people for political leadership and economic emancipation, resulting in the death of Patrice Lumumba in 1960. Similarly, French military engagement in Algeria and the British outpost in Rhodesia encountered prolonged armed resistance, signifying examples of the unwillingness of the colonialists to vacate settler colonies on the continent. Notwithstanding, African nationalism and political assertiveness in various forms towards continental unity and economic emancipation became the popular theme throughout the Cold War, though not without the debilitating effects of superpower rivalry that often broke the front of its leadership. Following the demise of the Cold War in 1989, the aftermath which was accompanied by a rather ill-defined engagement of the continent by successive American governments, the sudden renewed interest by the United States, particularly in the security sphere, had generated some scrutiny. The records portray a prolonged lull following the withdrawal of her marine corps from Mogadishu in 1994, and the apparent disengagement from Africa by the Clinton Administration which was cleverly adumbrated in various policy initiatives towards African governments and their military to assume responsibility for African challenges directly, especially in the 1990s. In the last decade, however, American initiatives cut across diverse sectors and issues, with a combination of policy instruments which have raised eyebrows both within and outside the continent. Certainly, since September 11, 2001 one could decipher in this new dalliance emergent security concerns and the decision to protect the US homeland as well as her assets and allies around the world. An examination of her security strategies and relations with Africa has, therefore, led to various interpretations as to how this new phase of entrenched security cooperation can be characterized. The more pronounced of these interpretations include an apparent deepening of strategic partnership with African countries in the war against terrorism; advancing her quest for newer sources of energy supply, particularly in the Gulf of Guinea; and thirdly, making a stronger claim for the continent as a result of economic competition by Asia countries (China, India and Japan) and also from some of her Western allies within the European Union. The veracity or otherwise of these claims or interpretations are explored in this study. The idea and practice of security cooperation within the context of international relations could mean several things. The practice of two or more states entering a formal agreement to protect or defend their sovereign existence or territorial space against an external actor is recognized as collective defense arrangement or a security alliance for mutual cooperation against outside attack. The historical examples of NATO and the now defunct Warsaw Pact during the Cold War are demonstrative in this regard (Bennett, 1991: 132-33; 234-238). Thus in a defense alliance, an attack on one is an attack on all members of the group in question and the appropriate response to such an attack is not necessarily towards restoration of peace but war against the enemy. On the other hand, under the practice of international organizations such as the United Nations or regional groupings, the African Union inclusive, member states are obliged to promote the collective security of members in the event of aggression from within or external to it, or situations that create conditions for international insecurity or threat to the peace. Under such arrangements, peace must be viewed to be indivisible and threats to the peace anywhere are viewed as a concern to all the members of the international system (Bennett, 1991: 131; Roberts & Kingsbury, 1993:1-62). A different interpretation, though not necessarily outside the mandate of the UN system, is to perceive it as a political edifice geared towards value allocation among several political actors (Finkelstein, 1988: 1-40).